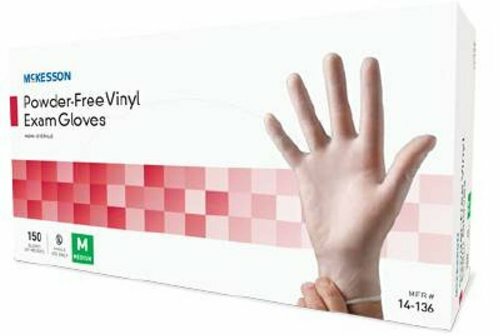 McKesson Non-Sterile Powder-Free Vinyl Exam Gloves, Smooth, Color: Clear, Ambidextrous, Large - Case of 1500 (150 per Box, 10 Boxes per Case) by McKesson at Franklin County Cancer. MPN: 14-138. Hurry! Limited time offer. Offer valid only while supplies last.